...the offense was hotter. With three goals in 9 minutes in the first half (the quickest three-goal burst in the league this season), Sporting KC put up a pace that Toronto FC simply could not match. Kei Kamara, who almost missed the match with a sore right ankle, scored twice six minutes apart (28th and 34th minutes). 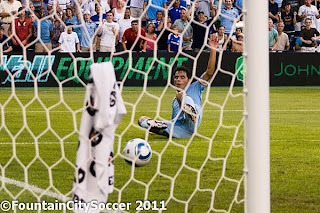 Omar Bravo added the third, and eventual game-winner, three minutes later. Kamara's two goals were his first in 12 games, snapping the longest goal drought of his career. He last scored against New England on April 25th, almost three months ago. 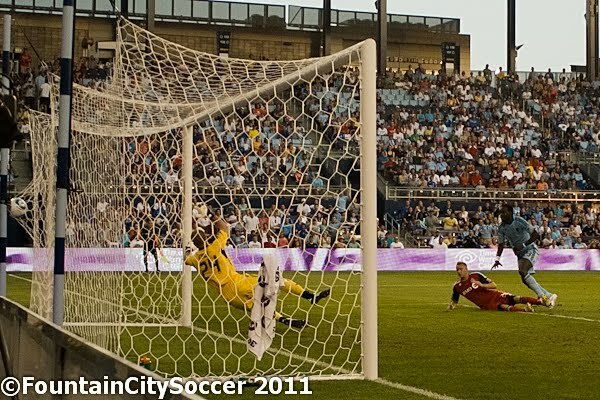 Bravo's second goal, coming in the 64th minute, did two things (besides restore a three-goal lead). First, it matched the team's season high for goals with 4 (scored in the 4-1 win in Dallas). Second, it marked the 3rd time in franchise history that the team had two players score twice in the same game in league play, and the first time since 1996. Across all competitions, it's the 2nd time this year. 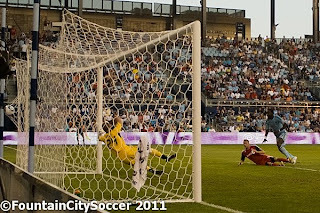 Chance Myers and CJ Sapong each netted twice in the Open Cup v. New England on May 25th. Jeferson made his league debut tonight and notched an assist, finding Omar Bravo with a ball into the box. Bravo made Stefan Frei make a save, but Frei couldn't control the rebound and Bravo slotted it home after getting around Frei. Jeferson also did something that Peter Vermes hadn't planned on when the game started. He went the full 90. The plan, at least as Vermes laid it out on Wednesday after the Newcastle game, was to have Jeferson play 60-75 minutes at the most. That plan, though, got tossed in the garbage when Aurelien Collin had to come out in the 62nd minute. Vermes said after the game that "he took a knee to his lower back and glute and basically when he hit that last ball it kind of aggravated it and he actually made the right decision in coming out." 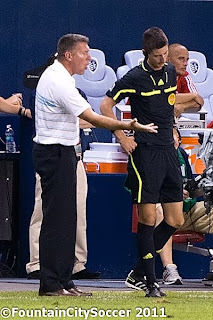 This game also marked the first time since the loss to the Galaxy that the team had allowed more than 1 goal. It didn't hurt that they scored 4, but it was the first time since May 14th they'd allowed more than 1. Not a bad stretch at all. 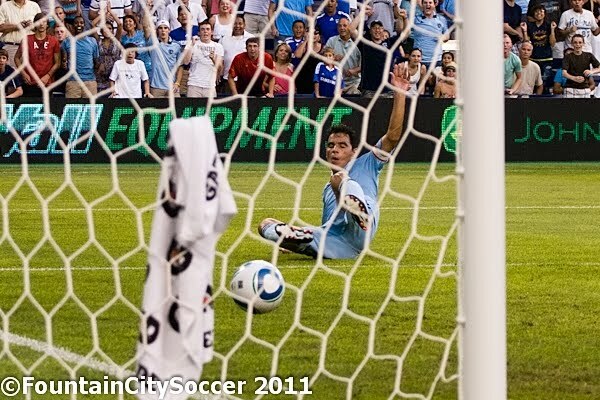 Next up for Sporting KC is game two of the nine-game homestand on July 30th against New England. The last time these two teams met in league play, New England pulled out a 3-2 victory in Foxboro. However, the last time they met, period, was that 5-0 shellacking in the Open Cup qualifier at BVDAC. Here are some pics from tonight's game.